DigiOz .NET Portal is a web based portal and Content Management System written in ASP.NET MVC 5 and C# using Microsoft SQL Server as a database which allows webmasters to setup and customize an instant website for either business or personal use. Because of its MVC design pattern, it allows webmasters to easily further extend the system to fit their individual business needs. 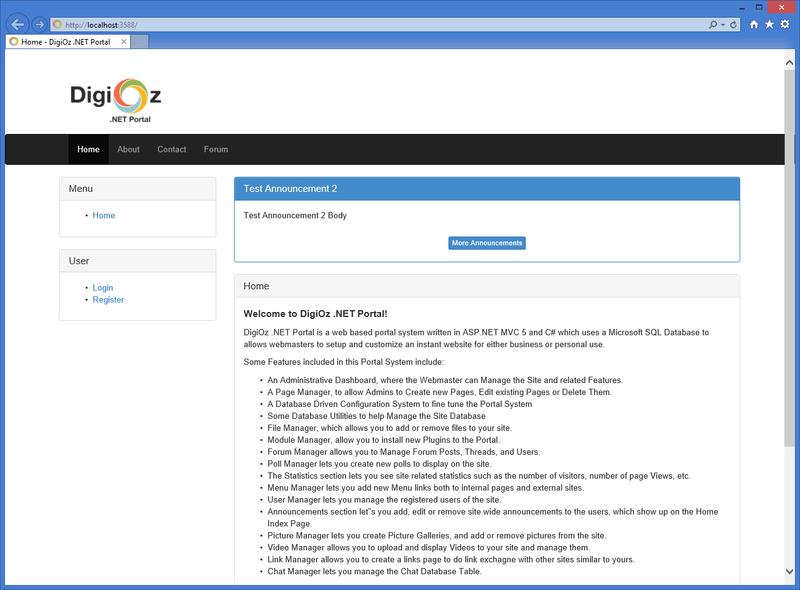 The Digioz Simple Chat is a very basic Chatroom System written in ASP.NET 2.0 which allows an unlimited number of users to chat with each other on a website. For more information on how to install and use the chatroom, please download the zip file and read the ReadMe.txt file. The Digioz .NET Guestbook is a Guestbook System written in ASP.NET 2.0, which uses Serialization to store messages as serialized XML text files. It supports multiple languages and smiley faces, as well as an administrative interface to remove unwanted messages. The Digioz Directory File Lister is an ASP.NET Script written in C#, which is designed to only show all the Files in a specified directory on your server, along with file creation date and size of each file. This script can easily be included using Server Side Include in ANY ASP.NET page. You also have the option of displaying only files with specific file extensions using "*.ext" string. 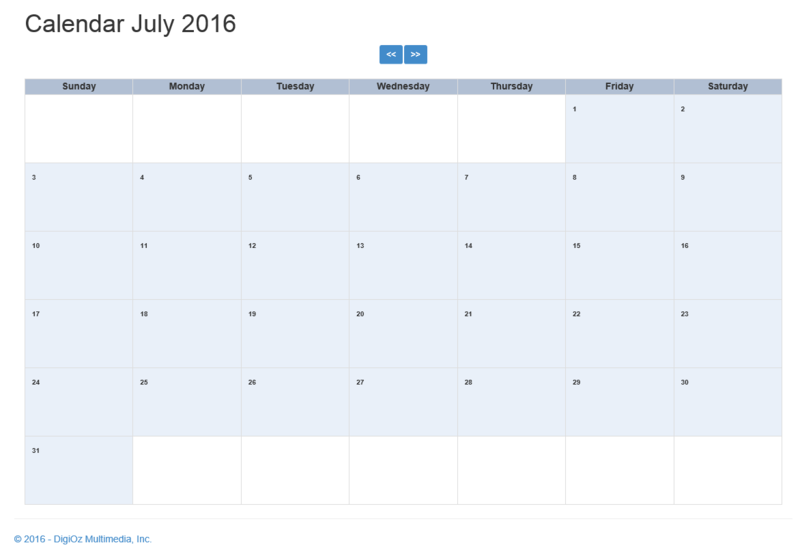 DigiOz MVC Calendar is a simple monthly Calendar system coded purely in ASP.NET MVC. You can easily copy a single view file and it's corresponding controller action into your own project to instantly create a calendar in your own project!